A Georgia man was arrested Thursday, days after animal rescuers removed hundreds of dogs from deplorable living conditions on his property. Reason Craig Gray, 58, in a photo published by the Berrien County Sheriff’s Office. Gray, who ran a dog breeding business called “Georgia Puppies,” voluntarily surrendered more than 630 dogs last week. The surrender came after Gray told a Georgia Department of Agriculture inspector that he needed help and would be unable to continue to care for his animals, according to The Berrien Press. The inspector then contacted county animal control. On Thursday, however, investigators searched Gray’s property and found an additional 85 dogs, mostly “young puppies,” according to the sheriff’s office. Officials believe that Gray had moved the additional 85 dogs off of his property when he surrendered the other dogs, and then brought them back later. One of the dogs now in the are of the Atlanta Humane Society. Numerous animal shelters and rescue groups throughout Georgia and the surrounding area are now caring for the rescued dogs. Another organization, Releash Atlanta, posted a heartbreaking video of one of the rescued dogs falling asleep standing up, a behavior the group attributed to living in a cramped enclosure. “He has likely lived his entire life sleeping like this, learning to get comfortable standing, which is why even their toenails grow straight out versus curling,” the group wrote on Facebook. Last year, the Humane Society of the United States included Georgia Puppies on its “Horrible Hundred” list of puppy mills. The list noted that a state inspector had written that Gray’s dogs had “outgrown their provided space” and needed more room, and that many dogs were leaving permanently in “temporary enclosures.” The organization noted that Georgia Puppies was selling dogs online through its own website, online classified sites and a now-deleted Facebook page. 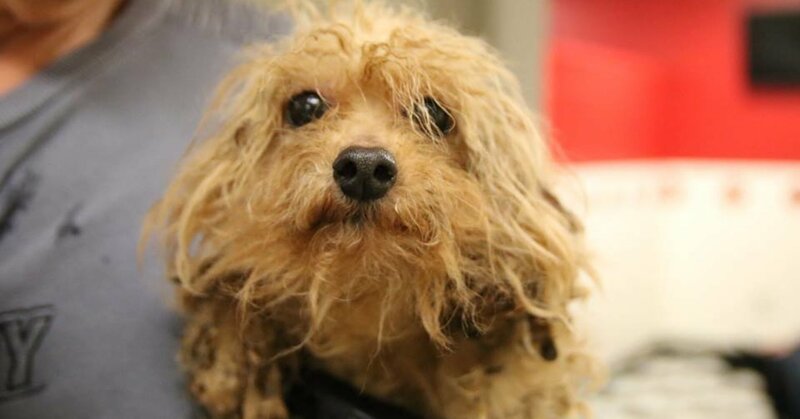 One of the 10 rescued puppy mill dogs now in the care of the Atlanta Humane Society. Berrien County Sheriff Ray Paulk said in his statement that “there are many questions yet to be answered” about the case. “One huge one is how this licensed pet dealer was allowed to have an operation with this many beautiful creatures to be able to populate to the point of being out of control and inhumane,” he said.